The state of Tamil Nadu had been the main region where the South Indian Sangam eras of history flourish the most. 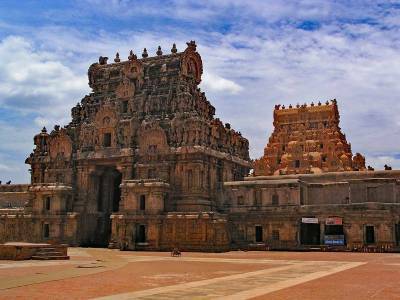 From the Chalukyas to the Pallavas and from the Cholas to the Vijayanagara, every dynasty of the South India made valuable contribution in making of the Hindu Empires in the ancient India. The district of Thanjavur, in particular, witnessed the prominence of one of the greatest South Indian Dynasties ever, the Cholas. The empire was not only famous for its exemplary maritime expedition but for its refined and most artistic sculptures of cultural ethnicity. 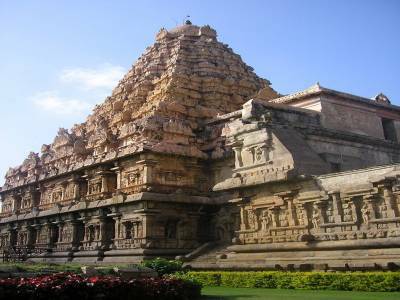 The temple of Brihadisvara or Brihadeeswarar is one such brilliance of Chola's art and architectural style. The temple is dedicated to the most revered God of the Cholas Empire, Lord Shiva. There are other temples also in the temple complex dedicated to Lord Vishnu, Lady Shakti and other gods of Hindu mythology. The Brihadeeswarar temple is a great architectural feat and comes in a trio with other two. The Brihadeeswarar temple was built by the great Cholas King Raja Raja I, in around 1003 to 1010 CE. The others of the trios are located to the northeast of the Brihadisvara are Airavatesvara and Gangaikoda Cholapuram. The sculpture of the temple and the architecture is off the chart. The towering tomb of the main temple is the tallest in the Southern India and is built with granite about the sacred sanctum of Lord Shiva. The corridor of the temple complex is a long and arched one, mesmerising enough to make one fall into illusions. The Lord is worshipped in his Nataraj form made form brass. 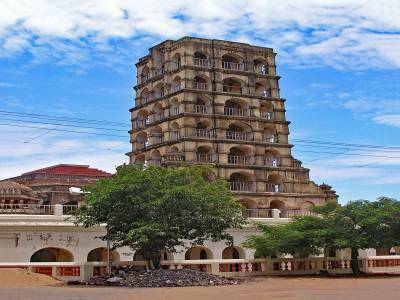 The sheer magnanimity of the temple indicated the name Brihadishwara meaning Massive Lord complementing the proficient Tamil architectural style. 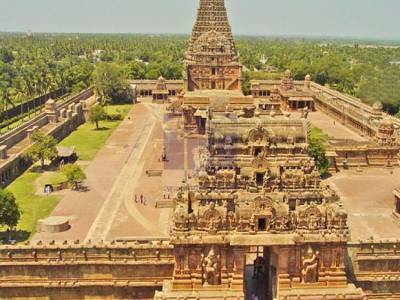 The Brihadeeswarar Temple has been designated as a UNESCO World Heritage Site and a great place for visiting the unearth secrets and majestic of affluent latter Sangam Era. During the Sunday's, the Brihadeeswarar temple was extremely crowded, Devotee's can purchase a special darshan ticket for 5.00 INR to speeds up the darshan time (Separate paid queue). 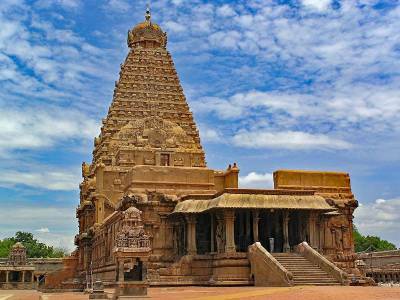 Get quick answers from travelers who visit to Brihadeeswarar Temple, Thanjavur.